A festive and fun Birthday Cake that’s a little extra special! 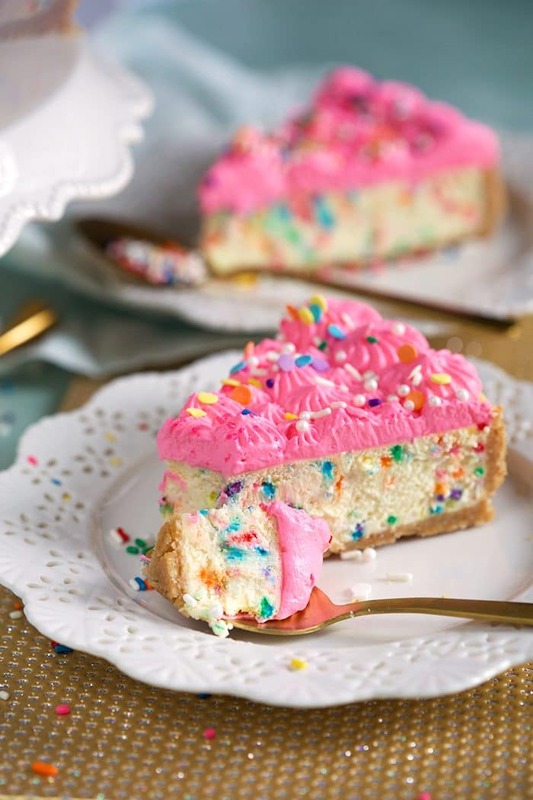 This easy Funfetti Cheesecake recipe is the ultimate Funfetti cake for celebrating an occasion. 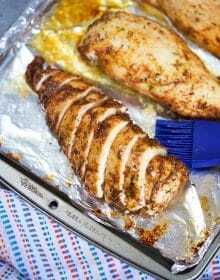 Just a few simple ingredients are blended together, swirled with rainbow sprinkles and baked in a buttery cookie crust. 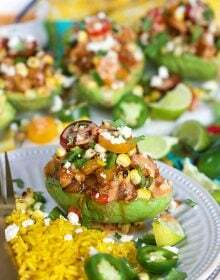 Topped with an easy whipped cream frosting and you have a vibrant dessert worthy of a celebration all it’s own. Happy Birthday….to me! Today’s my birthday and I’m so feeling all the feelings about it today. I’m a little older…..way more wiser…..and so much more comfortable with just me than I was last year. A lot has happened this year that has made me realize, it’s ok to celebrate you. Celebrate life. Celebrate being one year older because that means….you’re still living. And that’s a big reason to celebrate. I lost my aunt a couple months ago to a sudden illness and it was so very raw….and totally eye opening because I just never thought about her not being in my life. All those things people say about losing a loved one washed over me….I wish I visited her more….I wish I appreciated her more…..I wish she knew how much I loved her snarky, never hold back personality. It made me appreciate life and everyone around me so much more. And my usual blasé way about mentioning my birthday has definitely changed over the years when I would bake myself a festive treat but this year, I’m taking a somewhat new direction. Of course, I baked myself a Funfetti Cheesecake but I’m also celebrating the day by visiting a restaurant I’ve been wanting to go to for over 10 years…..I’m going skiing for the first time in over 20 years…..and I’m not going to feel badly about celebrating myself every single day this year. Because you never know when your party will end. 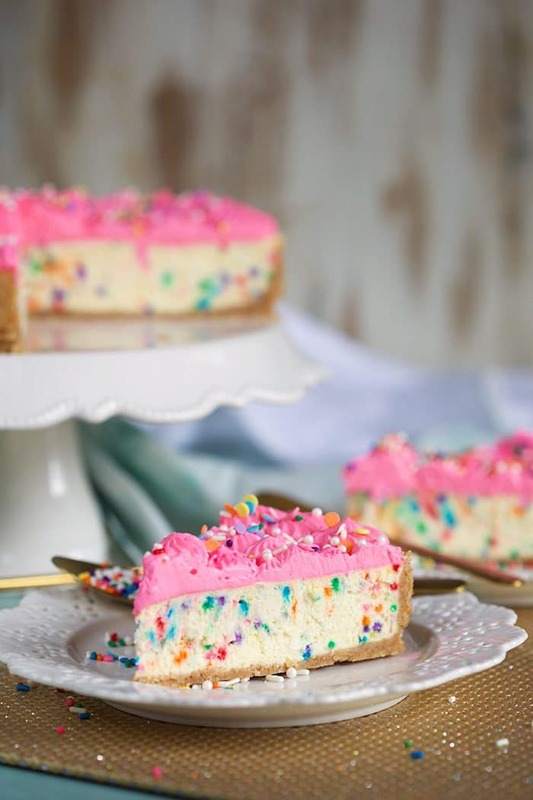 Since I’m a big fan of the Cheesecake Factory and have been on a cheesecake recipe making roll….I thought, what better way to celebrate another year that starts with the number “4” than with a festive Funfetti Cheesecake Birthday Cake! 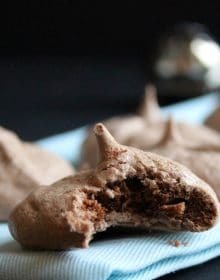 Everyone loves sprinkles, they’re so bright and fun….so I love to put them in as much as I can….and on just about everything that’s considered dessert. So, what makes a Funfetti Cake? Basically, a Funfetti Cake recipe is a white cake filled with colorful sprinkles in the batter. They kind of melt into the cake while it’s baking creating kind of a watercolor effect speckled in the cake. 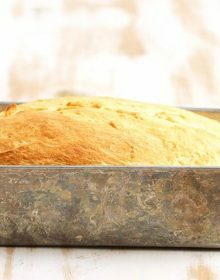 It’s one of the most beautifully simple desserts ever and who doesn’t want to dig into a rainbow speckled cake on their big day? 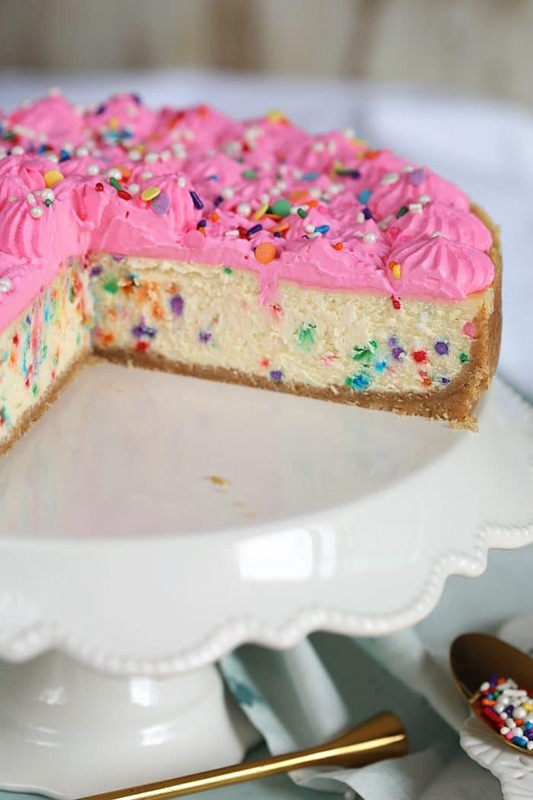 How do you make a Funfetti Cheesecake? 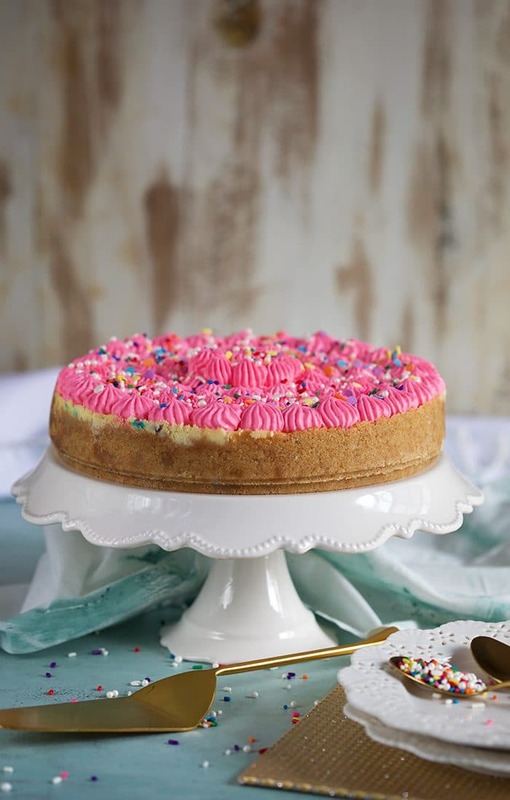 To start this easy Funfetti Cheesecake recipe, I referred to my favorite New York Style Cheesecake and then simply added a bit of almond extract to make it taste like a vanilla birthday cake. Once the batter was ready, I folded in a healthy helping of rainbow sprinkles. 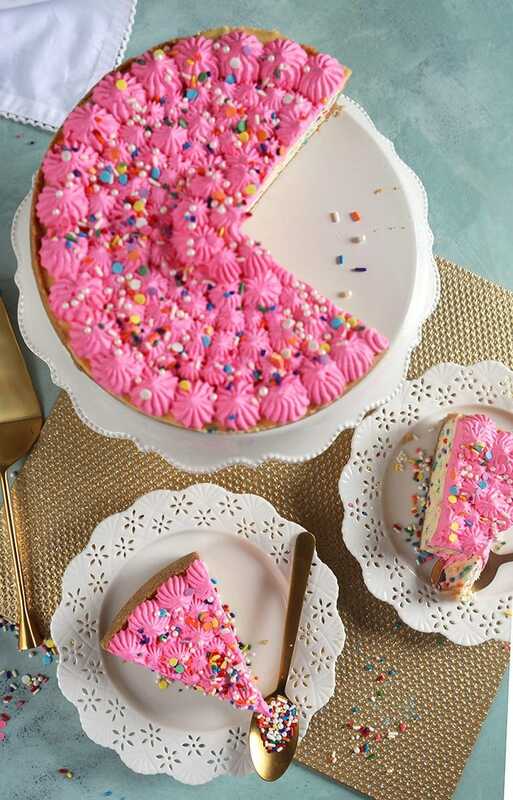 It’s important to use the long sprinkles or “jimmies” and not the nonpareil sprinkles as the smaller nonpareils bleed easily and will make your cheesecake a very unappetizing color. In a large bowl, mix together the vanilla wafer cookie crumbs, sugar, butter and salt until clumps begin to form. Beat in the sugar, vanilla and almond extract scraping down the sides of the bowl, as needed. Top with the whipped cream frosting and decorate with more sprinkles, if desired. Pink Champagne Cake.…so fun and festive! 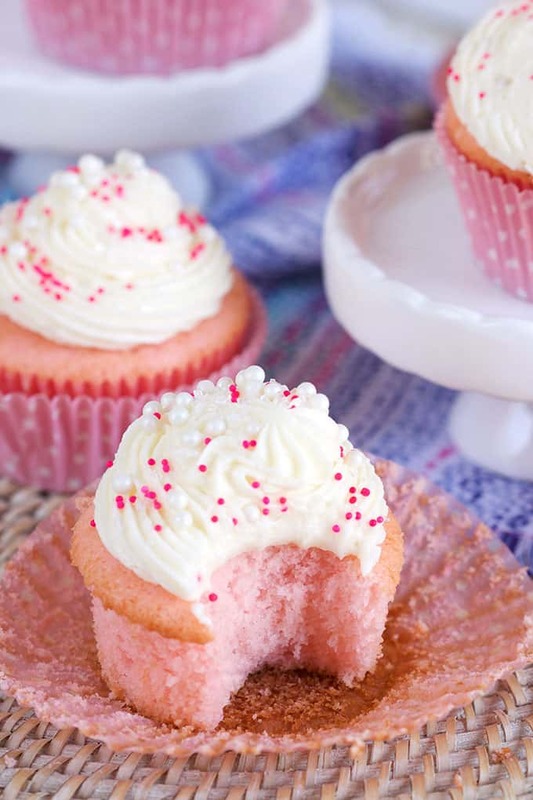 Pink Champagne Cupcakes! Like the cake but mini. 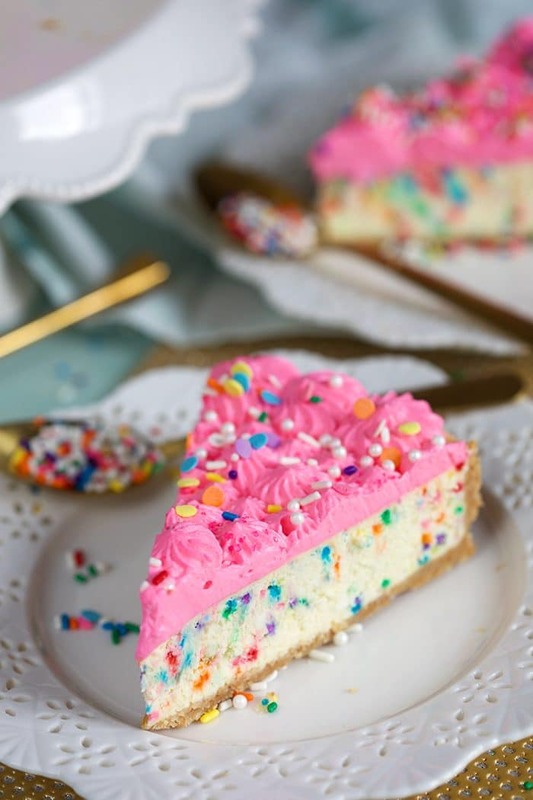 Milk Bar Copycat Birthday Cake….Funfetti Cake on steroids. If you want a few out of the box Funfetti recipes, these are my family favorites! 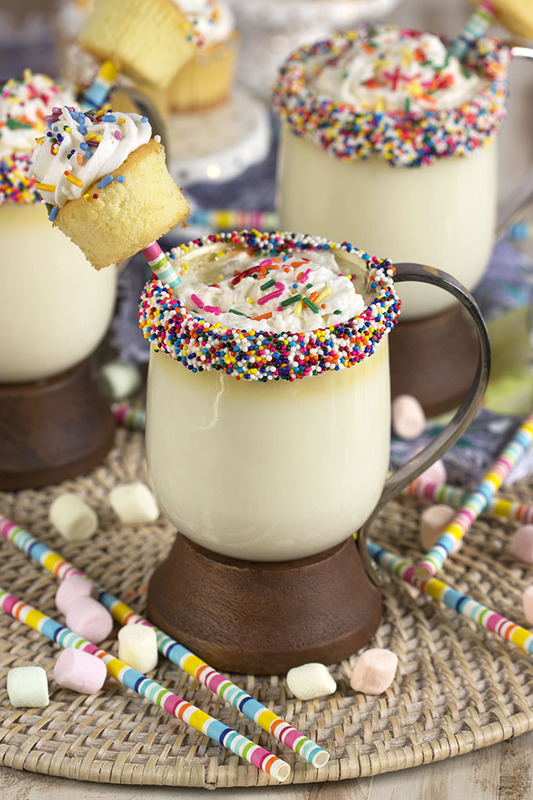 This Funfetti Birthday Cake Hot Chocolate is amazeballs! Start the day with a Funfetti Coffee Cake…or mini coffee cake muffins! Want to see what’s going on behind the scenes? Follow us over on Instagram! 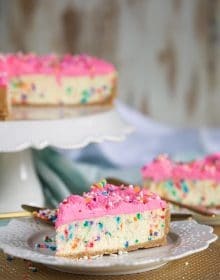 A festive way to celebrate any birthday or occasion, this easy Funfetti Cheesecake is so fun to make and EAT! 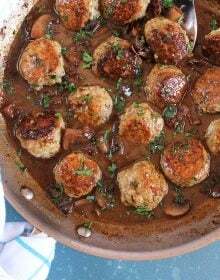 In a large bowl, beat the heavy cream, sugar and vanilla with a hand mixer until stiff peaks form. On low speed, mix in the food coloring until blended. Transfer the whipped cream frosting to a piping bag and pipe onto the top of the cake using a star tip. Happy Birthday to you – I hope this year is a great one! 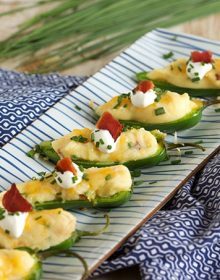 And thanks for this cheesecake recipe – it sounds amazing!